We are the Ancestral Rock & Roamers. Two old dudes traveling across Scotland with a simple plan, curiosity and a love of our Scottish heritage. We will be looking to enjoy ourselves in as many pubs with live music that we can find, scotch in hand. However, there is a serious side to this excursion as explained below. Randy MacLeod, President of the Associated Clan MacLeod Societies of Alberta and Donn Lovett, a descendant of Lord Lovat and a member of the Fraser Clan. The Associated Clan MacLeod Societies from around the world are coming together to support 'The Clan MacLeod Woodland Project and Memorial Wall' on the Orbost Estate on the Isle of Skye in Scotland (http://www.clanmacleod.org/acms-committees/alasdair-crotach-committee/clan-macleod-woodlands.html). The project will encompass 2.5 hectares of Rowan and Birch trees in a remnant gorge woodland and will re-establish an historic wildlife corridor. Further, there will be constructed a 'Memorial Wall" comprised of stones from MacLeods all over the world. 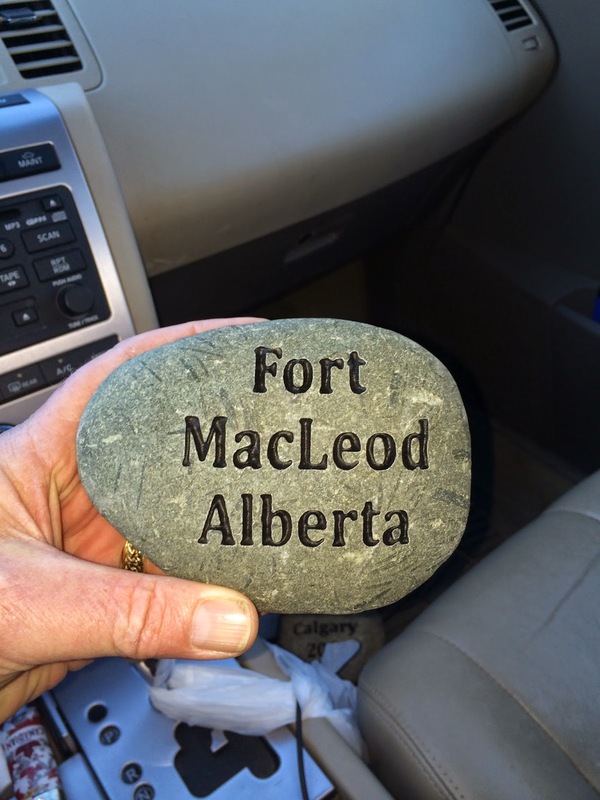 We have combined the Scottish Homeland celebration with ancestral roots research and will bring two stones from the original site of Fort MacLeod in Southern Alberta, Canada, named after Col. James F. Macleod, first commander of the North West Mounted Police (NWMP) and a major force in the development of Southern Alberta. 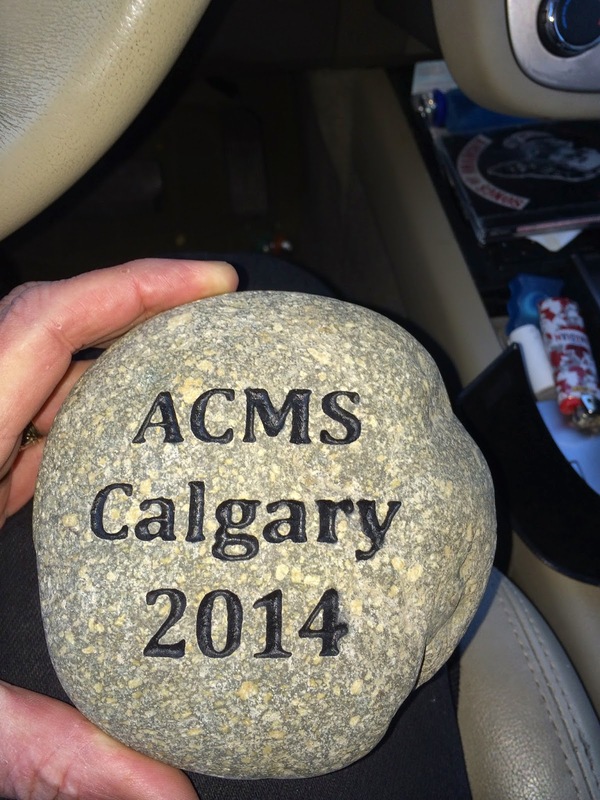 We had these stones engraved and will present them for incorporation in the 'Memorial Wall'. We also want to state that the Associated Clan MacLeod Societies were quite active in the development of the NWMP Barracks Site in the Town of Fort MacLeod, Alberta, Canada. 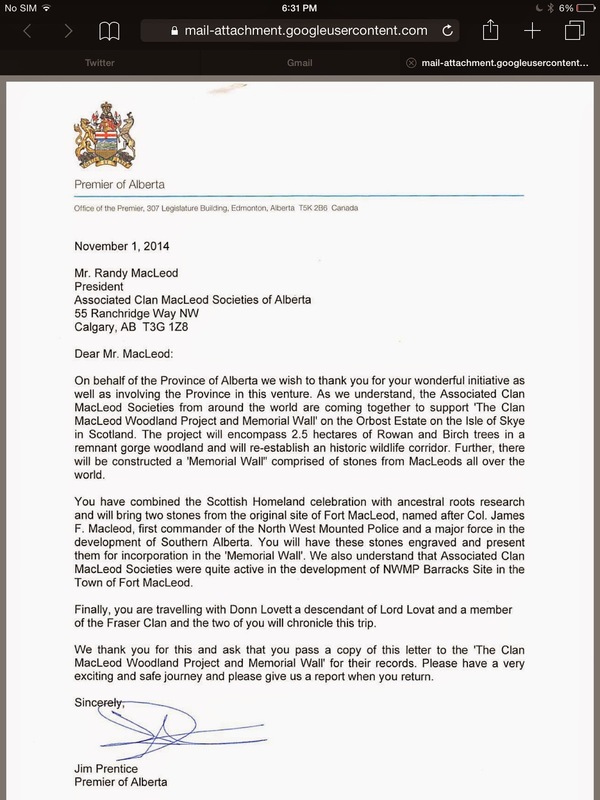 The Premier of the Province of Alberta has given us a letter to pass to the 'The Clan MacLeod Woodland Project and Memorial Wall' for their records.